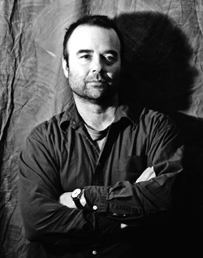 Charles D'Ambrosio is the author of two books of fiction, The Point and Other Stories and The Dead Fish Museum, and two collections of essays, Orphans, and Loitering: New & Collected Essays. Many of his stories originally appeared in The New Yorker, and he has also published fiction in The Paris Review, Zoetrope All-Story, and A Public Space. His work has been widely anthologized and selected for the Pushcart Prize, Best American Short Stories, and the O. Henry Award. His first book was a finalist for the PEN/Hemingway Award, and his most recent collection, The Dead Fish Museum, was a finalist for the PEN/Faulkner Award. He has been the recipient of a Lannan Literary Fellowship, a Whiting Writer's Award and an Academy Award in Literature from the American Academy of Arts and Letters.